Nalanda University (also known as Nalanda International University) is located in Rajgir, near Nalanda, Bihar, India. The University began its first academic session on September 1, 2014, with 15 students including five women. Initially set up with temporary facilities in Rajgir, a modern campus is expected to be finished by 2020. 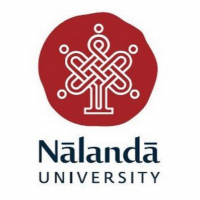 Nalanda is exclusively a post-graduate and doctoral school.